At Bicycle Roots, the number one concern we hear from our customers is this: I’d like to buy a nice bike, but I’m afraid that it will get stolen. 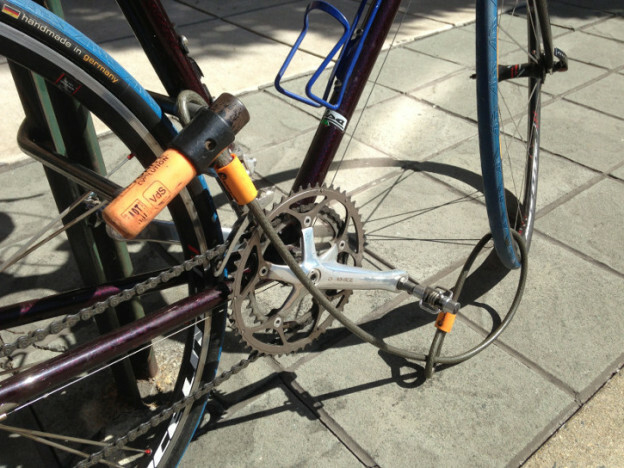 Bike theft is all too common in our area. It seems like bike thieves are just waiting for you to let your guard down so that they can steal your bike, bike parts, or accessories! What’s worse, a thriving black market allows thieves to quickly unload stolen goods, without any fear of the consequences. The result is a situation where too many cyclists spend too much money replacing stolen property. Or worse, where people don’t ride at all because they think it’s futile to buy a bike, since it will just be stolen anyway.